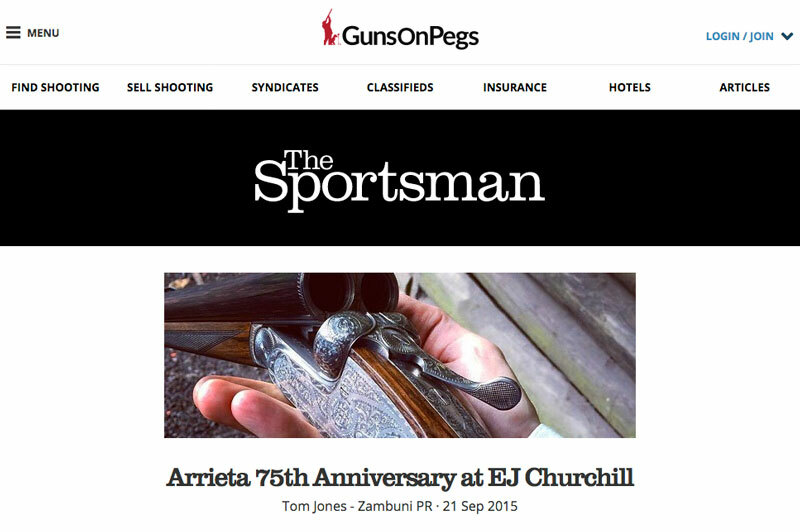 Tom Jones of Zambuni and Dapper Chapper fame shoots “side by side” top members of the gun trade. Arrieta’s 75th birthday brought everything Spanish to E.J. Churchill’s but the weather and the bickering over Gibraltar. Guests enjoyed serrano ham and side by sides – but sadly no Spanish sun poked through the cloud as the group made their way around the 100 Sporting setup with some tasty little new Arrietas.